Being the "auntie" that I am, I've always preferred coffee shops and cafes, than clubs and bars. And while I've always taken pride in hunting for new cafes to chill at, I can't deny that the established has a charm that have always worked. And yup, even if you can see me in one of the newest (or even smallest) coffee shops in town, I have a soft spot for Starbucks. If there's one thing I've always loved about Starbucks, it's how they're practically everywhere. Every mall has at least a branch. And in some areas, you can spot a few branches every one to two streets away. Service is also very consistent across all the Starbucks branches I've been to. But, if there's one thing that might be a con among all the pros, it might be the predictability of every visit if you're a very frequent Starbucks goer. And if you are, here's some good news. This 2016, Starbucks Philippines welcomes the new year with something new! Starbucks opens the new year with its new Starbucks Espresso Confections line, which features two new decadent beverages inspired by the elegance of candy confections with flavors that can only be found in the finest boxes of chocolates. The Strawberry Red Velvet Mocha (P145 Short; P155 Tall; P170 Grande; P180 Venti; +P5 for Frappe) has a deliciously rich red velvet sauce combined with mocha, steamed milk and SB's signature espresso, topped with cheesecake whipped cream and lightly sprinkled with real strawberry bits. The Chestnut White Chocolate Truffle (P135 Short; P145 Tall; P160 Grande; P170 Venti; +P5 for Frappe) on the other hand, showcases SB's signature espresso and steamed milk combined with a decadent white chocolate chestnut sauce, before finished with whipped cream and chestnut drizzle. The beverages aren't the only thing new this year. 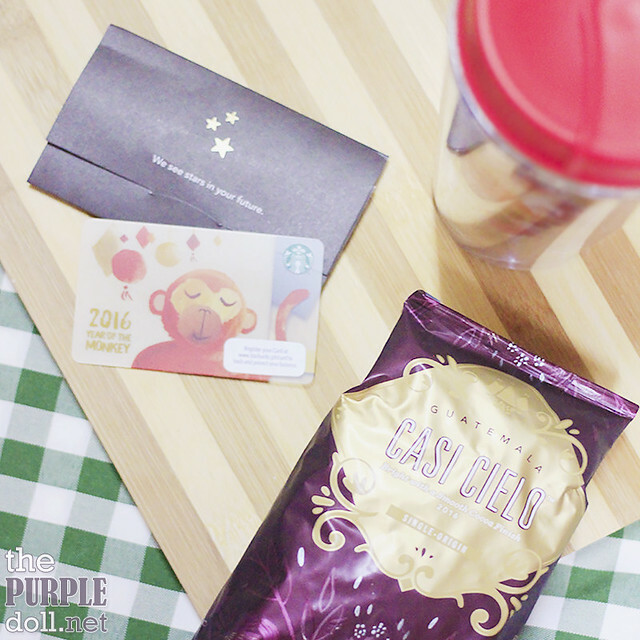 Even if the Lunar New Year is still a month away (February 8), Starbucks has already released their limited edition Lunar New Year Card to welcome the Year of the Monkey. I'm not that much into monkeys, but I sure can't get enough of the cuteness of this Year of the Monkey Starbucks Lunar NY Card. It's the perfect gift to loved ones or to yourself, to celebrate a fun, loving, energetic and cheerful 2016. The Lunar New Year Card is available starting on January 8, 2016 for an initial consumable load amount of P300. Also, make sure to register your card over at www.starbucks.ph/card. In addition to the Lunar New Year Card, Starbucks will also be launching new merchandise in time for the Year of the Monkey, which includes this uber-cute Happy Monkey Tumbler. 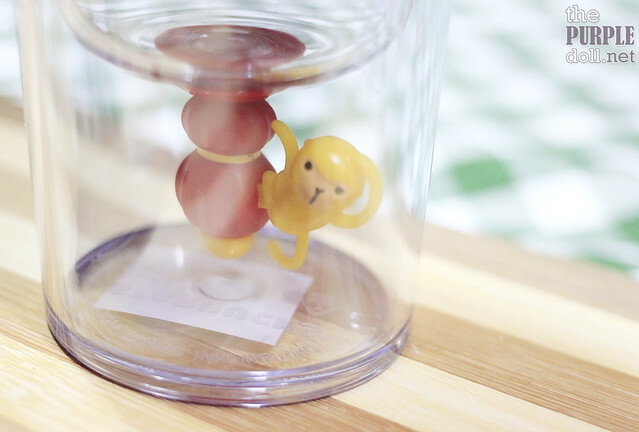 Not only does this tumbler feature a new and unique slide mouth opening, it also has a rotating monkey at the bottom that makes using the tumbler more fun. And to complete the Lunar New Year anticipation, Starbucks has also released a new collection of masterfully roasted packaged whole bean coffees, one of which is the Guatemala Casi Cielo -- a single-origin Latin American coffee expertly roasted to showcase elegant flavor complexity, a unique floral aroma, citrusy brightness and lingering chocolate taste. 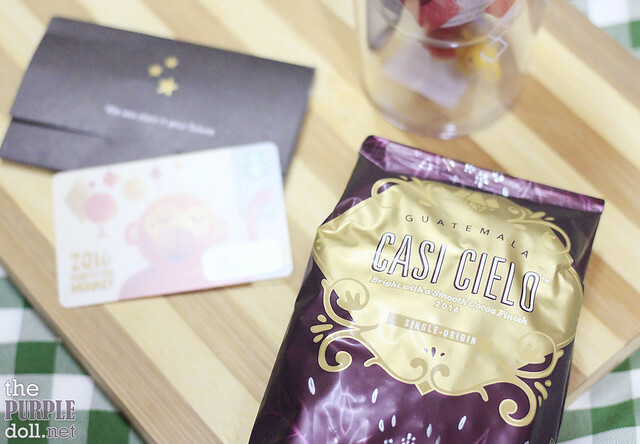 So if you're in for a remarkable coffee with depth and versatility, the Guatemala Casi Cielo is perfect for a variety of special occasions at home. The happy monkey tumblr is soooo cute to resist!